A collection of beautiful antique illustrations of insects restored from 19th-century books. 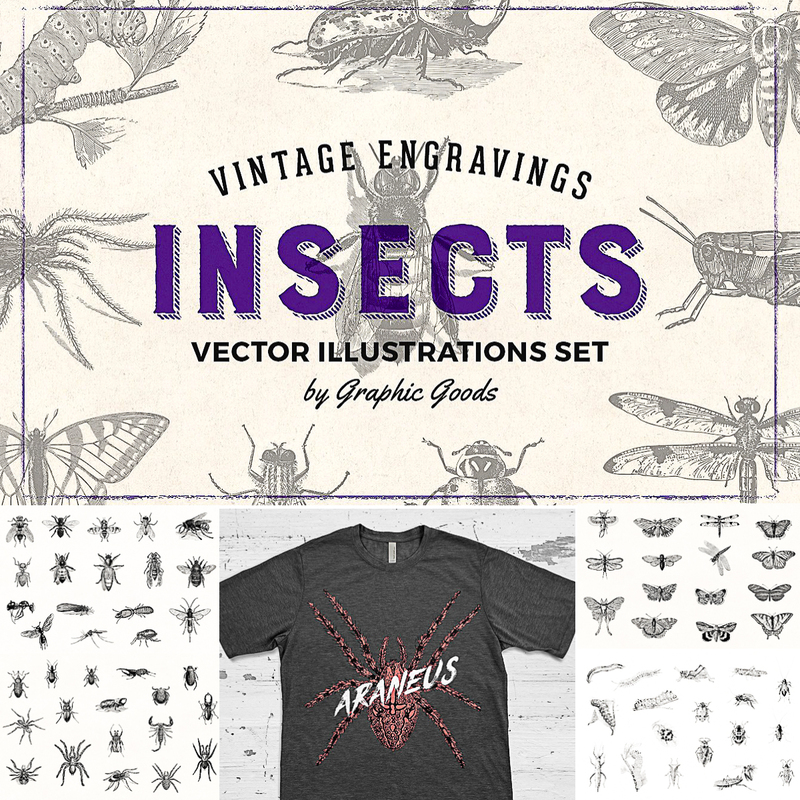 This set contains 67 illustrations of various insects. Some of species included in this set: ants, termites, flea, mosquito, fly, bee, bumblebee, hornet, wasp, dragonfly, lacewing, earwig, cicada, ladybug, walking-stick bug, soldier bug, red bug, cockroach, cricket, grasshopper, locust, mantis, beetles, millipede, centipede, caterpillar, butterflies, moths, spiders, scorpion, tick. Tags: beetle, bug, butterfly, dragonfly, drawing, fly, insect, scorpio, t-shirt, T-shirt print, vector illustration, vintage engraving, vintage illustration.